Home » Astro Pea Interactive Story Time! 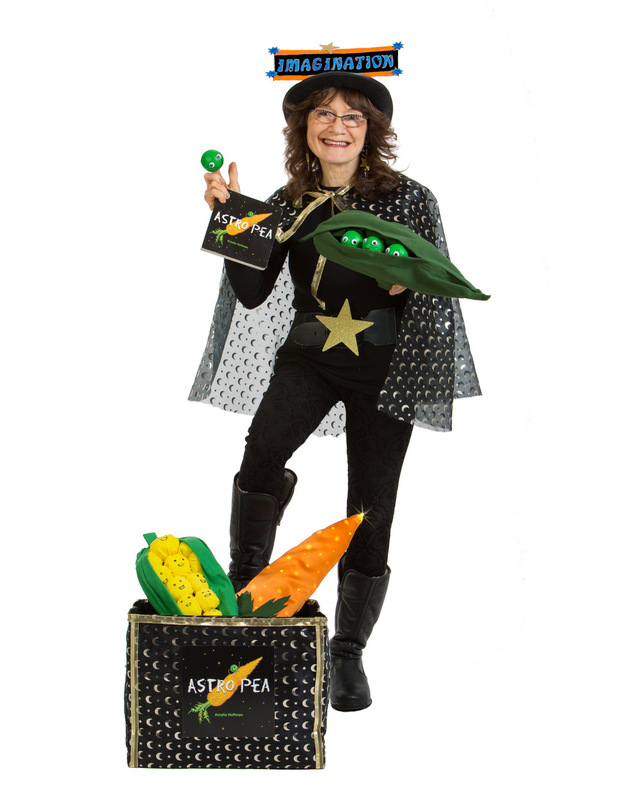 Join award winning author, illustrator and storyteller, Amalia Hoffman in Astro Pea adventure with props, lights and her finger puppet, Pete the pea. Follow Pete on his cosmic adventure where a carrot transforms into a spaceship, an artichoke turns into a satellite, plain vegetables into planets and much more. With Astro Pea, space is only as far as your imagination will take you. Color and name the vegetables in the book. See how much fun healthy food can be.